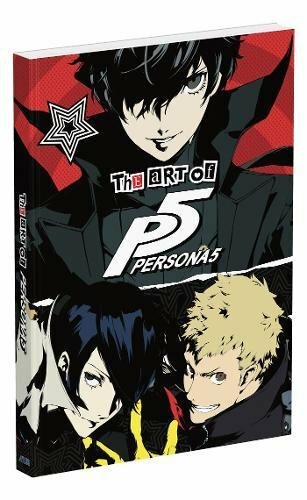 If you're a big fan of Persona 5, then you probably won't want to miss this companion artbook. I've featured several Persona artbooks before and they were published by Udon Entertainment. This book was published by Prima Games, the game guide publisher, instead. This is a thick 432-page paperback. The original Japanese edition Persona 5 Official Setting Art Book is even thicker at 512 pages. I've not seen the Japanese book so I can't say what's missing in the 80 pages. This book focuses mostly on character designs which probably fills around 80% of the book. The remaining pages are filled with environment art, props and rough sketches. The character designs look great. They are drawn and colour in typical Japanese anime style. I love the colours, line work and the poses. Japanese creators really have a way with making even the most mundane character look great. There are lots of characters to check out, their design variations, various expressions, close ups, cut-in shots and quick sketches. There isn't a lot of text though except for a short profile on the character. The environment art are fantastic but they are printed too small. Several pieces were squeezed onto a page. Some artworks are really detailed and printing them so small does not do them justice. Overall, it's a great book for fans and those who like Japanese style character designs.